Heat oil in a skillet and sauté half of the garlic, all the onion and the carrot for 2 to 3 minutes. Place in a food processor and pulse 1 minute. Add the lentils, remaining garlic, shoyu, vinegar, cumin, basil and parsley. Blend until smooth and creamy. Place in a bowl. Turn on oven to broil. Place the baguette sliced on a baking sheet and lightly brush with olive oil (optional). Place under the broiler for 3 to 5 minutes or until lightly browned. Remove and place a slice of tomato on each baguette. 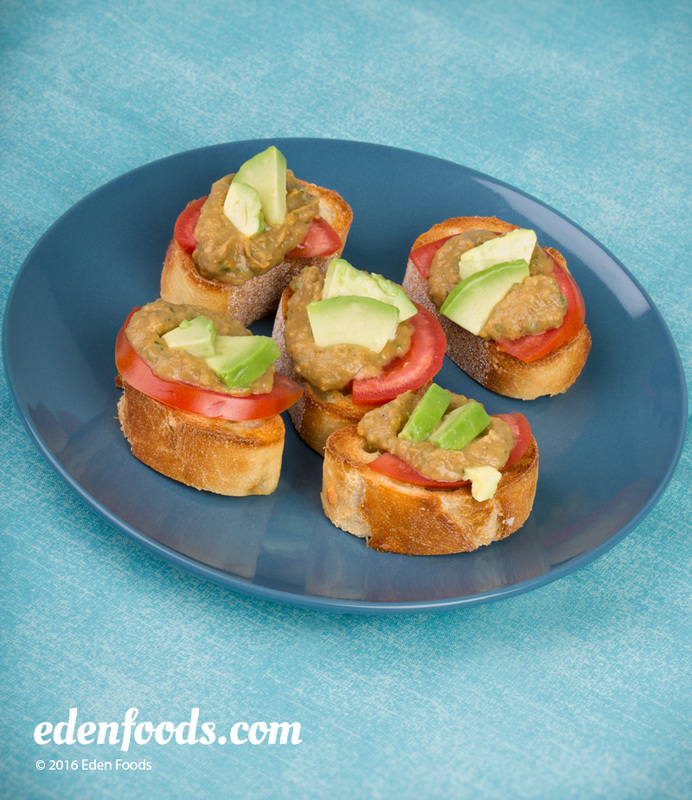 Place a tablespoon of pate and a slice or two of avocado on top. Serve.